Hey Alexa, Can Amazon Compete in Music Streaming? This past week, Amazon let loose a massive marketing campaign aimed at converting music listeners to their streaming platform, Amazon Music. Developed with global independent agency Wieden+Kennedy, this campaign employs star power and the power of Alexa backed by one mantra: A Voice Is All You Need. Almost everyone today who listens to music has streamed a song. Launched in 2008, Spotify changed the landscape of the music industry and became the leading streaming platform. Little competition existed until Apple released their own streaming service, Apple Music, in 2015. Since then, Spotify has remained the leader in users, but Apple Music has made significant strides to close the gap. Both services have strangled the market with tens of millions of paid subscribers. Below these two streaming giants, Amazon Music holds a distant third place. However, with their new marketing campaign, ‘A Voice Is All You Need,’ Amazon has officially put Spotify and Apple Music on notice. ‘A Voice Is All You Need’ is Amazon’s first national TV marketing campaign for their music service, featuring international stars like Ariana Grande, Kendrick Lamar, Queen, Kane Brown, and SZA. Throughout August and September, Amazon will launch four animated video ads with these artists’ voices as the focal point. "Alexa, play 'All The Stars' by Kendrick Lamar and SZA." 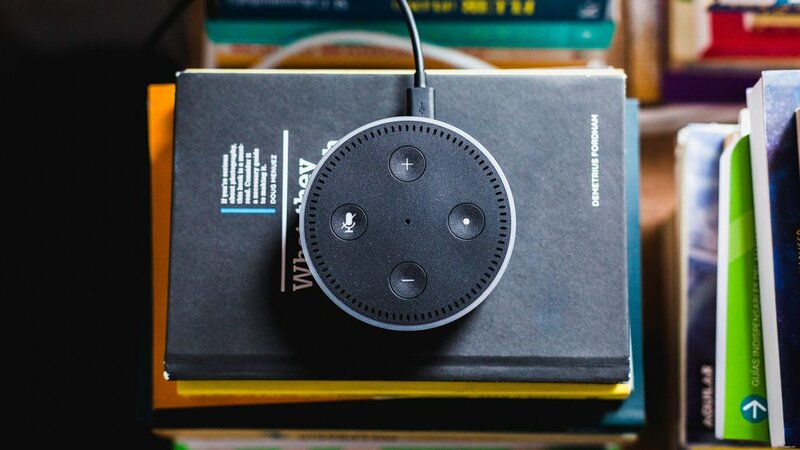 The campaign aims to encourage users of Amazon’s Alexa enabled devices to access Amazon Music through the voice activation feature. Instead of tapping the screen to select a song, anyone with an Alexa-enabled device could say the tune they would like to hear. Amazon has remained quiet about their exact number of paid subscriptions, but a report released last October stated that they had 16 million paid subscribers (Amazon has suggested that they have surpassed 20 million, but this number is unverified). Still, this number lags far behind Spotify’s 83 million and Apple Music’s 50 million. In the same report, Amazon states that they had doubled their paid subscriptions over a six-month period in 2017. Although Amazon has yet to step in the same ring as the two heavyweights, their streaming service has gained impressive traction. Amazon’s marketing strategy echoes their belief in the home smart speaker as the future of everyday listening. Bluetooth enabled speakers have become incredibly popular in the last few years, and many projections suggest more accelerated growth. A report by eMarketer shows that sales of smart speakers are growing by 47.9% annually, the fastest growing tech product since the smartphone. The eMarketer report also predicts that there will be over 90 million smart speaker users in the United States alone by the end of 2018. Also, the research firm, Canalys, projects 300 million global smart speaker users by the end of 2022. Of those 300 million, Canalys predicts that Amazon will have a 34% market share, while Apple is projected to have just 10%. Spotify does not have a smart speaker on the market, yet. Amazon hopes that the growth of home smart speakers combined with Amazon Music can turn them into a top streaming contender. Amazon has the tools to take on the Goliaths with a seamless listening experience. Garnering one-third of smart speaker sales and over 16 million paid streaming users, Amazon can manipulate these dual markets into a formidable streaming threat. If Amazon has this titan potential, how are they still so far behind Spotify and Apple Music? Amazon arrived fashionably late to the streaming game. Amazon Music was not released until late 2016, more than eight years after Spotify and almost two years after Apple Music. Tens of millions of streaming users had already become comfortable with another platform. Largely subscription based, most music streaming platforms charge a monthly fee ($9.99 for Spotify or Apple Music) to the customers’ credit or debit cards. To seize existing streamers away from another platform, Amazon must convince users to abandon comfortability for what they believe is a better product. A huge selling point of Spotify or Apple Music is user familiarity. Through algorithms, they learn listener habits to adapt to each user. The longer a customer uses the product, the smoother the experience. Knowledge of navigation, saved songs and playlists, brand loyalty, and algorithmic adaptation are all obstacles that Amazon must face for effective conversion. To combat these obstacles, Amazon has a simple strategy: make the subscription cheaper. Customers who already have an Amazon Prime account can enjoy Amazon Music for just $7.99 per month, or $79 for an annual subscription. Amazon Prime members can pay $41 less per year for Amazon Music than they would pay for Apple Music or Spotify. However, users who are not Amazon Prime members must pay the monthly streaming standard, $9.99. Non-Amazon Prime members will not reap any financial benefits when leaving their existing service. Over the next few months, the 'A Voice Is All You Need' campaign will appear on television screens, billboards, radio spots, and website advertisements across the globe in an attempt to sway both Amazon Prime Members and those not on the service. Amidst Amazon's first formidable push to join the streaming elite, customers will decide how Bezos' music beast will stack up.